Sis. Mary Evelyn Davis, Allen, 60, departed this life on Wednesday August 29, 2018 in Marion County. She was the mother of Yolanda Davis and Michelle D. Harrison. You may visit the family at 508 Dunlop St. Apt. A, Marion. Funeral services are scheduled to be held at the Wise Chapel AME Church Wednesday September 5, 2018 at 11:00am. She will be laid to rest in the Jobs Cemetery, Marion. Sister Mary E. Allen, better known as the Big D, the oldest of nine was born in Marion County South Carolina on October 9, 1957 to the late Len and Bertha Mae Davis Sr. She departed this life and transitioned to her new home on Wednesday August 29, 2018 at Carolina Hospital System on Marion South Carolina. She attended Marion Public Schools. She had a very happy spirit and loved hanging out with her family. She met no strangers. She worked at Home Health, Russell Stover Candies, Heritage Sportswear, and odd jobs to help as much as she could. She loved the outside and made music with the Marion Mass Choir. Music and dancing was her thing. To love her you had to know her. She was preceded in death by a brother; Leon Davis, niece Lakesha Davis and nephew Robert Davis. 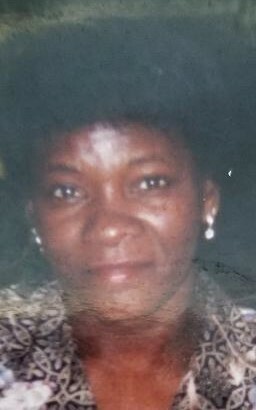 She leaves to cherish her love and memories two daughters; Michelle D (Anthony) Harrison, Yolanda (Casey) Davis, five sisters; Doris Davis, Marion, SC, Harriett (Robert) McFarland, Marion, SC, Denise (Paul) Coles of Johnsonville, SC, Katherine Davis of Baltimore, Md, Verlinda Davis of Mullins, SC, two brothers; Robert (Dana) Davis, Glen Leroy Davis both of Marion, SC, three aunts, two uncles, a mass of nieces, nephews and cousins, very best friends Gail, Tiny, Jim and many, many more, a very special friend Timothy Brown.